ST. LOUIS, Feb. 4, 2019 /PRNewswire/ -- Aclara, a leading supplier of smart infrastructure solutions (SIS) to electric, gas and water utilities worldwide, today announces the expansion of its grid monitoring platform power sensor product line that operates on sub-transmission networks up to 48kV to increase visibility beyond the distribution network. The inductively powered smart grid sensors offer accurate detection of faults and transient events as well as a wide range of measurement capabilities such as current, power factor, phase angle and real-time voltage within 0.05%. These capabilities support diverse applications such as fault detection and location, Volt/VAR optimization, power quality monitoring, power flow modeling, bi-directional power flow for distributed generation, and monitoring of substations and network interconnections. 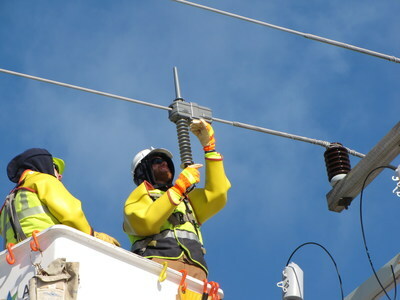 "Aclara is offering sensors for our 46kV and 35kV systems that will provide us valuable information to help provide better service to our customers, improve reliability, and provide visibility into these critical systems as part of our grid modernization effort," said Eric Clement, Supervising Engineer, Minnesota Power. In the UK, where sub-transmission circuits are often fed from multiple sources, the availability of the next-generation power sensor has simplified the process of identifying the direction of faults for UK Power Networks. Prior to deploying this new generation of power sensors, the utility discovered faults by first "walking the line" to identify their causes. If no visual evidence of a fault was found, each line segment was tested independently to identify the source of the fault, a process that sometimes took several days. 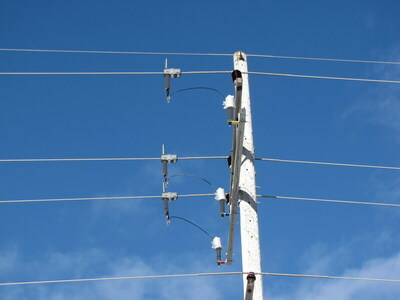 "Aclara Power Sensors can be used on 33kV networks to improve reliability, reduce the duration of supply interruptions by directing linesmen to the most likely fault locations and to monitor power flow, current and voltage, providing improved network visibility. We are regularly reviewing Aclara power sensor data as part of UK Power Networks' overall quality of supply improvement program and hope to make more strides in improving the reliability of our distribution networks," said Peter Lang, Project Manager, UK Power Networks. "The sub-transmission market is one of the most overlooked segments of the electric utility industry. There are presently limited solutions available to serve it, and those that are available tend to be expensive, cumbersome, time-consuming to install, and may require field calibration. There is a need for an easy-to-install, inexpensive alternative like Aclara's power sensor, especially to accommodate distributed energy resources," said Kumi Premathilake, senior vice president of advanced metering infrastructure for Aclara.